Health. Wisdom. Prosperity. Deepening intuition. Peace. Stability. Love. Draw these blessings and virtues into your life and surround yourself with their energy. Part 1: We will use tarot cards to spark our creativity and deepen our relationship with Spirit. (There is more to tarot cards than divination!) 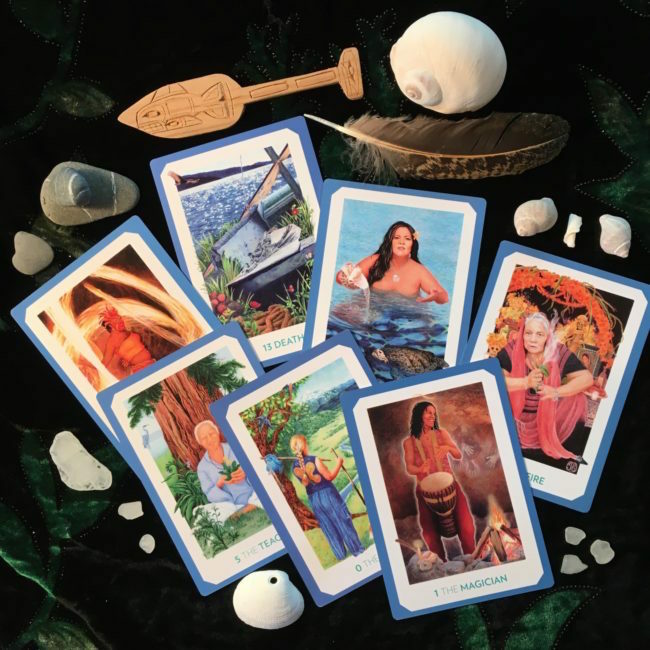 We will review the basics of reading tarot cards intuitively. Then we'll learn ways to write prayers and blessings — for ourselves, for others, and for the world — inspired by the cards. Part 2: Come together, establish human connections and recognize all the blessings given to us, including one of the most basic blessings - daily sustenance. We will share a life-giving, gourmet lunch. Part 3: We will craft a talisman or two charged with the prayers and blessings written earlier in the day. A talisman is an object, often a piece of jewelry, that carries the energy of a blessing or virtue that you want to draw into your life. A talisman supports you in your actions, reminds you of your intention, and holds the energy you’ve put into it. It’s a reminder of a promise you’ve made to yourself. While talismans are most often pieces of jewelry, they can also be decorative objects that can be hung in a window, on a mirror, or any other place where you see it frequently. You can tuck small ones into a pocket or purse. 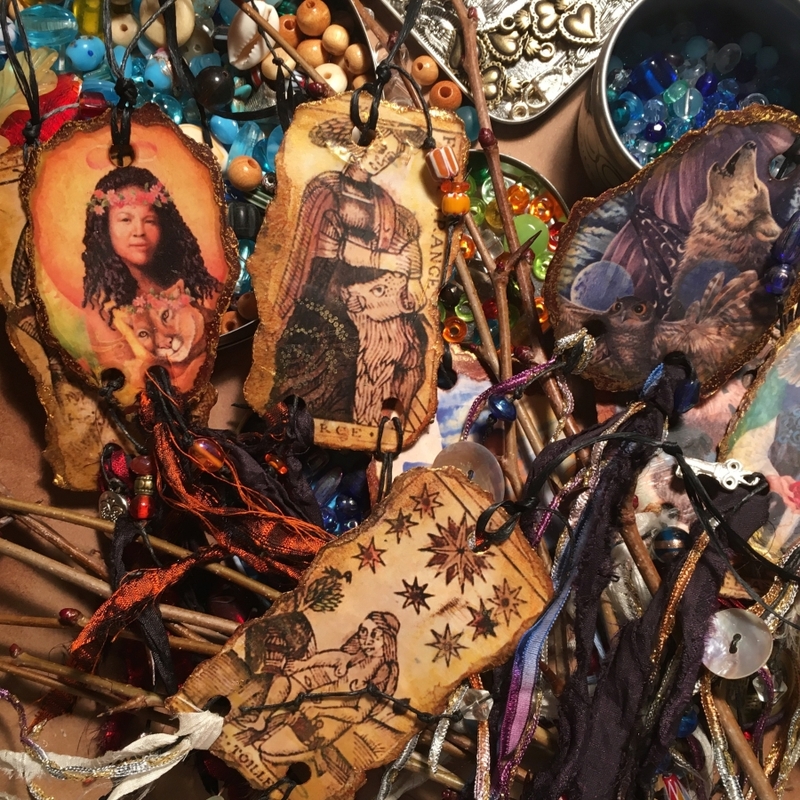 You will be given the freedom (and a host of rich materials) to make the type of talisman that will be most meaningful to you. Learn to make encaustic (wax) prayer beads: write your prayers or affirmations or blessings, then create a beautiful bead from your beautiful words. Bring any tarot deck and a journal. Bring yarn, beads, charms, repurposed jewelry, and natural items like shells, feathers, pine cones, driftwood sticks, etc., if you like. Additional art supplies will be provided. Tarot beginners welcome; no reading experience necessary. Decks will be provided if you do not have one. COMMUNITY CONTRIBUTION: Participants are asked to make a modest donation to the Island Library by bringing an item from the library's "wish list" as part of their class fee. Community is a vital part of all REC Retreat events; we firmly believe that we are here to care for one another, and by collaboratively supporting local organizations, we reinforce this important philosophy. This workshop (and overnight option) is sold out. If you would like to be placed on a waiting list, we will contact you if we receive any cancellations. Please contact us to be included on the waiting list.